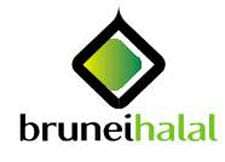 THE country’s flagship Brunei Halal brand is looking to penetrate the markets of six countries this financial year following milestones that have seen exports to neighbouring Singapore as well the United Kingdom. In an interview yesterday on the sidelines of a BIMP-EAGA dialogue at The Airport Mall in Berakas, Dr Nur Rahman, the recently-appointed Chief Executive Officer (CEO) of Ghanim International Group, explained that the company is targeting countries in Asia, the Middle East as well as those in Europe, stating that current supply of Halal products in a number of countries is not meeting demand and Brunei could provide a Halal solution. With the lack of Halal options on a global scale, he said, “someone has to take the lead and Brunei Halal is taking this lead to come up with product solutions for the international market”. The CEO explained that the Middle East is the next anticipated market for the brand with the next few weeks slated to see the fast-tracking of procedures including registration to facilitate the brand’s introduction to the Arab world starting with Dubai with support from the Brunei Embassy. He said that LuLu, the Middle East’s biggest retailer group with 123 outlets in the Gulf Cooperation Council, has selected a number of Brunei Halal products for the company’s United Kingdom (UK) operations with consumers in the Middle East also ready to welcome the move. 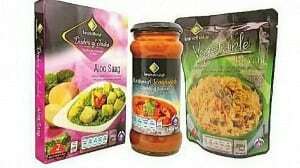 After introducing Tesco’s shelves with the Brunei Halal product line, Dr Nur Rahman said that grocery chain Asda will carry 24 of Ghanim International goods in its 110 stores across the UK starting this month. It is hoped that by the end of April, “our products will have a presence in every part of the United Kingdom,” through the agreement with the UK food venture. With marketing the main driving force behind its success, he said that getting distribution off the ground and expanding Brunei Halal’s reach is being facilitated using the foundation that has been created since the company’s introduction in 2009. “We have improvements in opportunities and we are using this opportunity as the platform,” for market diversification. The brand, he said, “is a good concept and its objective is excellent and what we need to do is strategise and execute,” including provision of more Halal products, which is hoped to eventually include pharmaceutical products as well as cosmetics. The company’s financial future, he explained, “is going to be profitable, sustainable and it has the opportunity grow. We will look forward to what we can do. The signs we are seeing are substantial and the responses we have been getting have been positive.